Of the same design as our other Mk 1 Corridor Second, this example was fitted with a more modern type of door, made of cast aluminium. While 25346 is an absolute classic of the early build, this coach built a year later shows styling and production developments that were being incorporated into later batches. Several different designs of cast aluminium door were produced by a number of makes, and those on 25498 are of a less common variety, where the top interior panel of the door and the window frames are of solid aluminium instead of veneers and mahogany. Corridor window frames to the compartments are also aluminium framed instead of mahogany. Still enjoying veneers on all of the walls, 25498 still appears to be a proper 'old' coach. Withdrawn in 1983 from service on BR Eastern Region at Heaton Depot, Newcastle, this vehicle was still in service on the day we examined it on return to the depot, and was given special protection by the depot staff until its forward movement to the SVR. Initially operated from Bridgnorth in blue and grey livery, 25498 was repainted into 1950s carmine and cream there by volunteers. 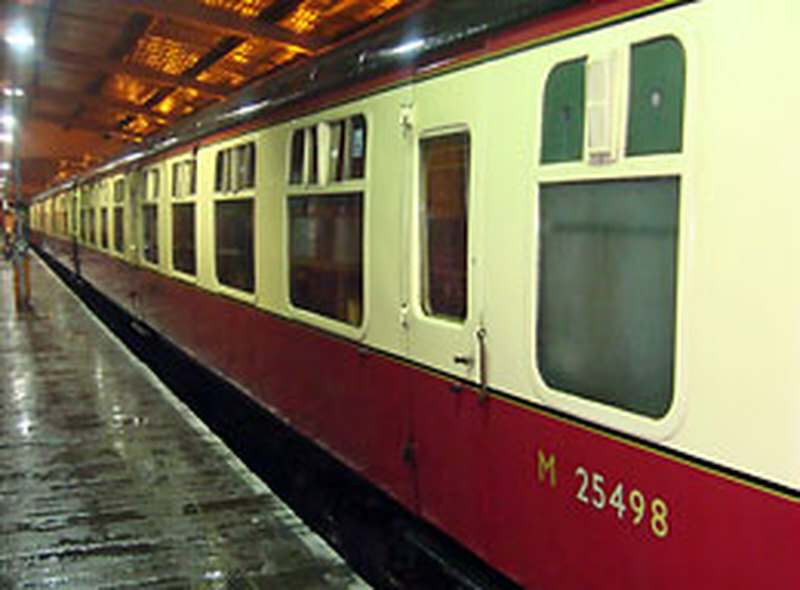 It remains in this livery as part of 'Set C', in contrast to 25346 in 'Set M". Like 25346, the upholstery in 25498 was recovered in the 1990s with a grey and pink cloth that was a comfortable match for a vehicle of this era. 25498 was delivered new to the Midland Region and later transferred to the Eastern, so has seats with fold-up arm rests and theoretically seats three a side. A heavy overhaul at Bewdley, followed by regular repaints at Kidderminster, has ensured this hard-working vehicle remains in excellent condition. Both our Corridor Seconds ride on original oil-bearing 90mph bogies.